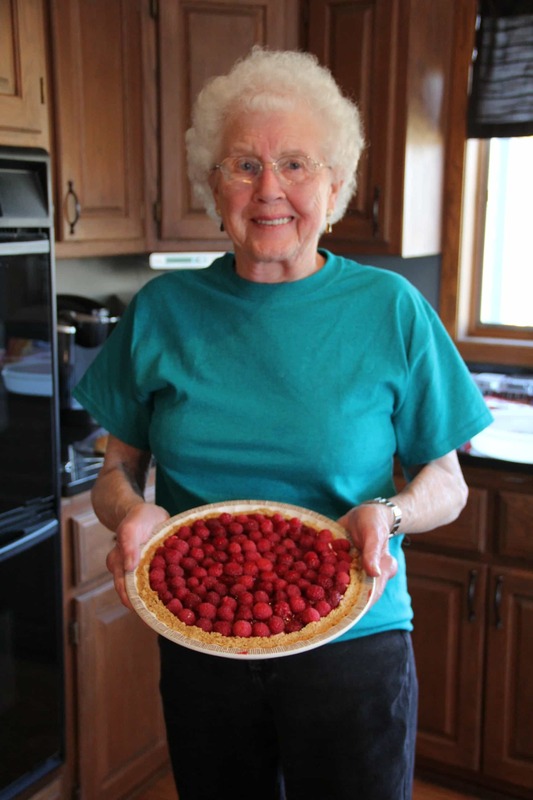 This is my Grandma Verna and her famous raspberry pie. 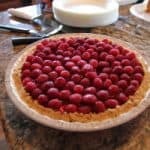 Not only does she bake an insane pie, but she grows the berries that go in it in her massive garden. At all family functions Grandma Verna always shows up with her famous pie, and we always love it. 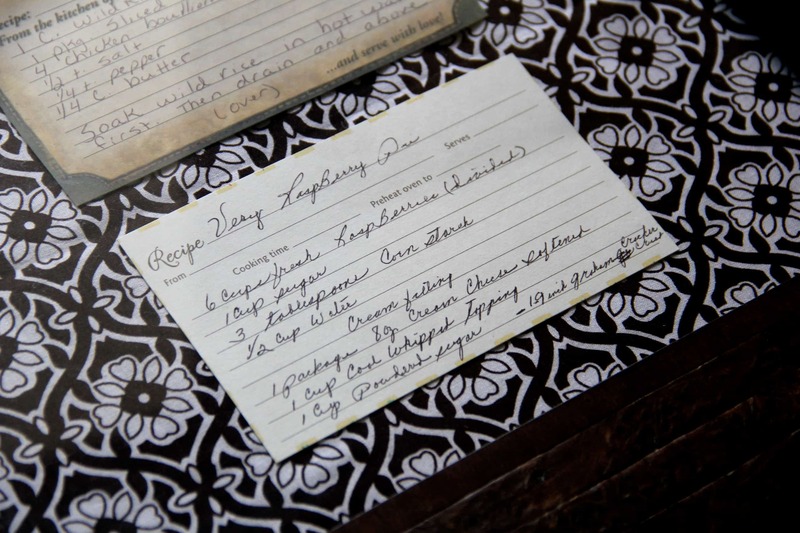 In fact, I keep a copy of the recipe handwritten by her framed on my kitchen wall! 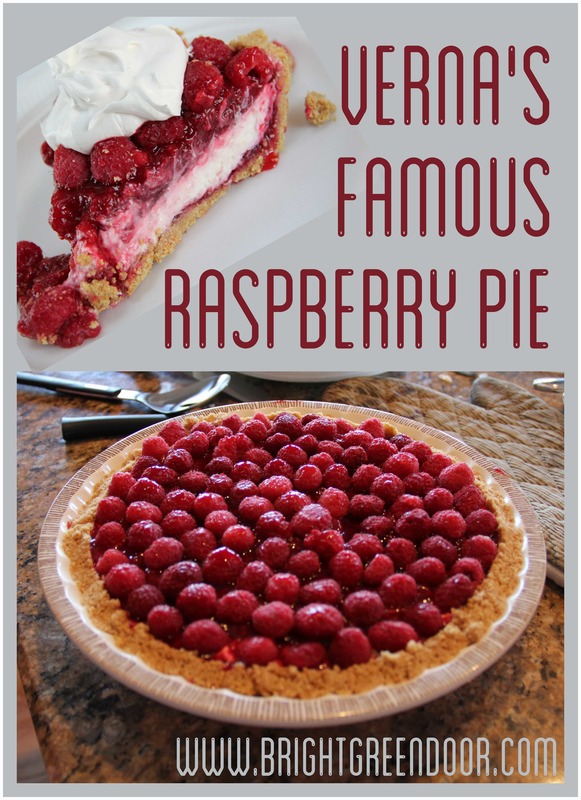 I’m sure I’ve got you all drooling now and wanting to make a fresh raspberry pie! Thankfully I’m going to share the recipe with you! 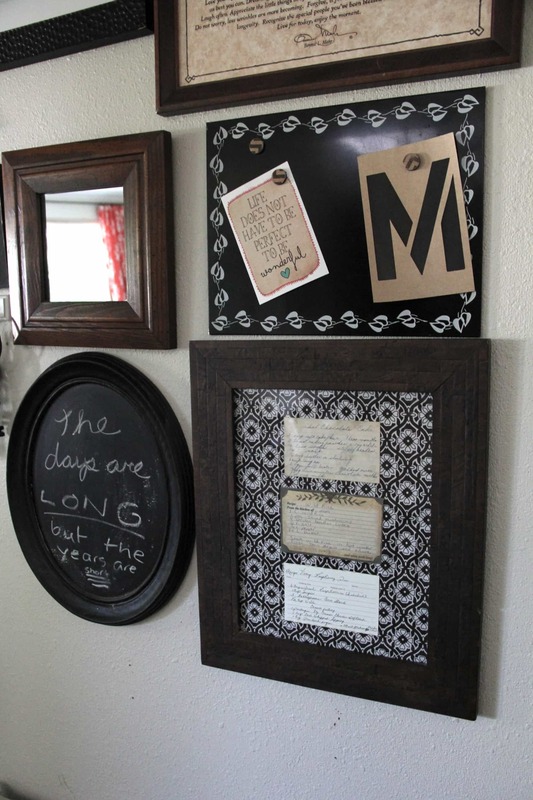 It’s just too good to keep a secret (it’s also hanging on my wall so it’s really not that secret)! Mash 2 c. raspberries to measure 1 c. Place in sauce pan. Add sugar, cornstarch, and water. Bring to a boil, stirring constantly. Cool to room temperature. Make the crust by mixing together graham cracker crumbs, sugar, and butter. Press mixture into the bottom and the sides of a 9 inch pie tin. Meanwhile for the filling beat the cream cheese, whipped topping, and powdered sugar. Spread into the bottom of the pie crust. 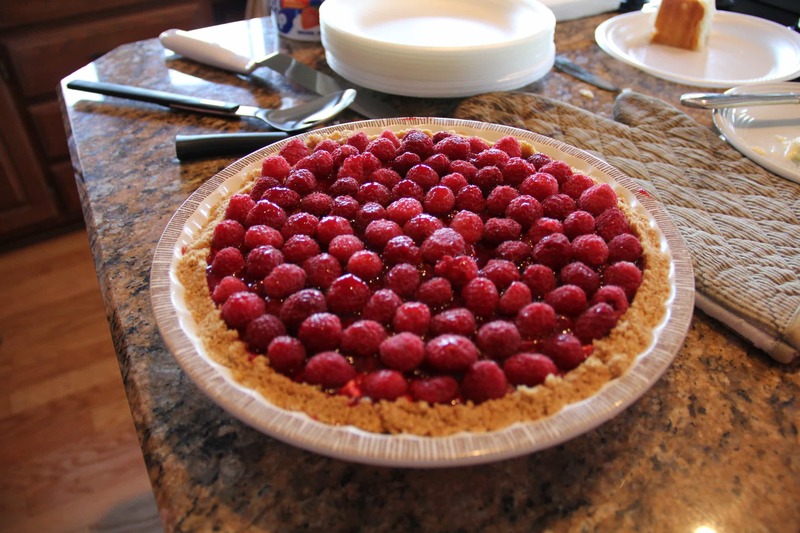 Pour the cooled raspberry mixture over the cream mixture in the pie pan. 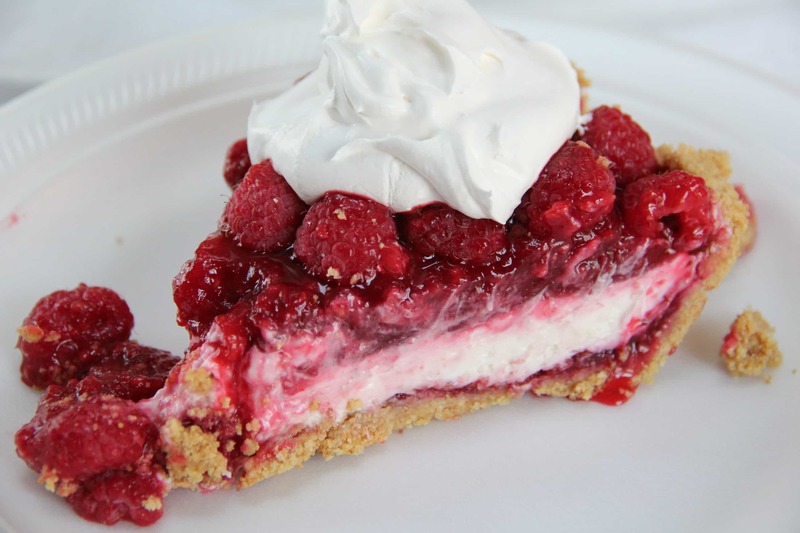 Refrigerate and serve with cool whip! 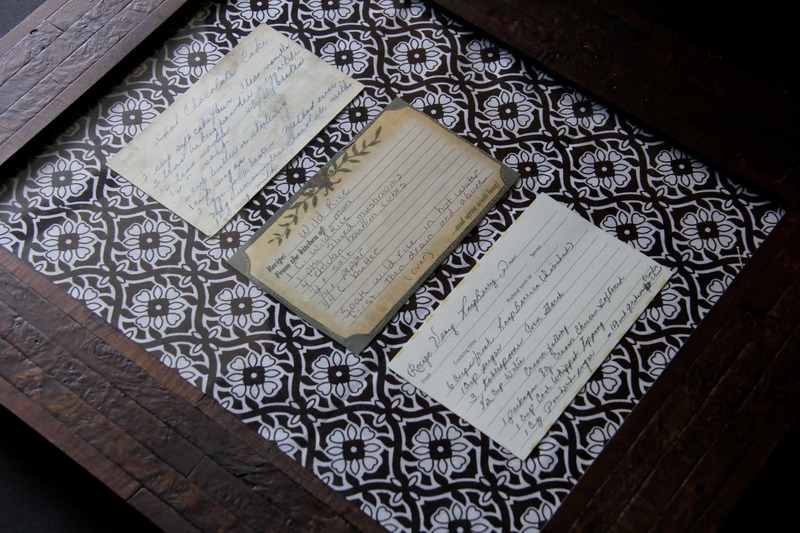 This recipe is framed with my other grandma’s fudge cake recipe, and my mom’s wild rice recipe. All family classics that I bake frequently! I really love just glancing across the kitchen and having such a sweet reminder of my mom and grandmas! Delish!! Grandma definitely has some talent in the kitchen. Thank you (and grandma) for the recipe, it is a keeper! Glad you enjoyed it! Now you see why it’s such a favorite!